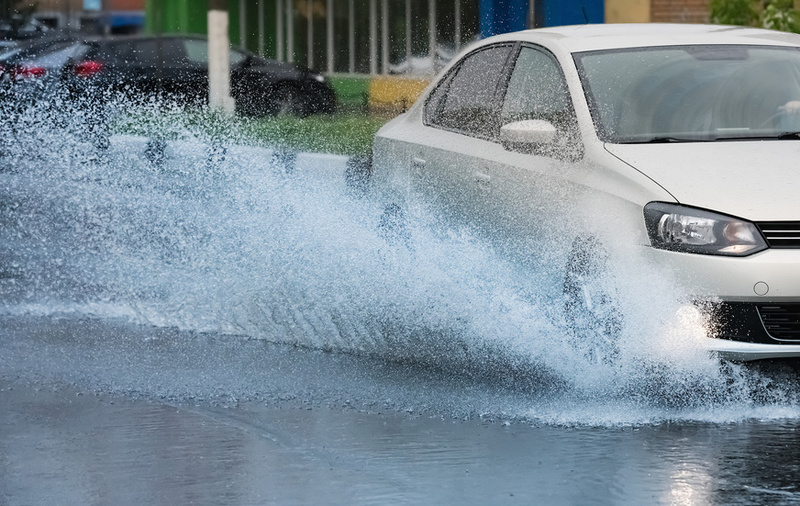 Determining Car Accident Liability When Bad Weather Is Involved! Bad weather can cause road conditions that increase the number of car accidents. If you have been hurt in an accident in bad weather, who is at fault? As a car accident lawyer, I am often asked this question quite frequently when the weather is a factor in causing an accident. The answer depends on the facts of each case and exactly what happened along with the amount of negligence that applies to each party in the auto accident and how much the weather was the cause of the accident. For example, if there are icy roads and a driver does not slow down and use caution, their driving may lead to a finding that the driver- and not the weather- was the main cause of the collision. In any car accident, if the weather was good or bad, it is necessary for your auto accident attorney to maintain to help the insurance company or the jury to determine negligence and the amount of liability that applies to each driver. Even though the bad weather can affect driving conditions and increase the likelihood of car accidents, drivers must drive responsibly and safely during such conditions. A driver who does not practice safe driving in bad weather conditions and causes an accident would be negligent and liable to pay for your losses. Lawyers who handle car accident cases will tell you that negligence is determined first by knowing what is reasonable and safe driving under the weather and resulting road conditions. The focus then changes to the drivers involved in the collision and if they acted reasonably under those conditions. When the weather is bad and roads are slick, wet, or otherwise affected, it is reasonable to expect that a driver would slow down or do other things to prevent an accident. Auto accident lawyers point out that if these reasonable actions such as slowing down to allow for extra braking time were not taken, such actions can be viewed as negligent. If both drivers were negligent, then New Mexico law allows a jury to assign fault to each driver. You should be aware that there are also additional factors that play a part in determining who is at fault in a bad weather accident. A car accident lawyer must examine the condition of the vehicles involved such as tires, headlights, brakes, windshield wipers, etc. as well as the existing road conditions that could have helped cause the accident. Since the events leading to every car accident are different, all potentially related causes must be considered. Yet when the bad weather plays a part in a car accident, the expectations on drivers may be looked at differently. Bad weather can also affect how pedestrians and bicyclists behave around cars, which is also taken into consideration when determining who is at fault. If pedestrians or bicyclists do not exercise due care in bad weather by wearing highly visible clothing and being extra careful on the roadway, they may be considered partially at fault for the auto accident. Bad weather can drastically increase the risk of car accidents. To avoid accidents and fault being placed entirely or partially upon you, a car accident lawyer will tell you that drivers should exercise extreme caution during bad weather. Vehicles respond differently in bad weather and; avoiding auto accidents requires drivers to take extra precautions to arrive safely!